Walking this morning with Inteliperra and Buenagente on Ave. España in Villa Duarte there was a manhole cover missing. This is not an unusual happening as they get stolen ofter. Everywhere you walk you have to watch the ground because you just never know when a cover will be wobbly or completely missing. Falling in those open holes would for sure be a big owwie. I stopped to look into the hole to see how deep it was. It was deep. Then I walked on. About 5 steps away I realized what I saw and stopped abruptly. 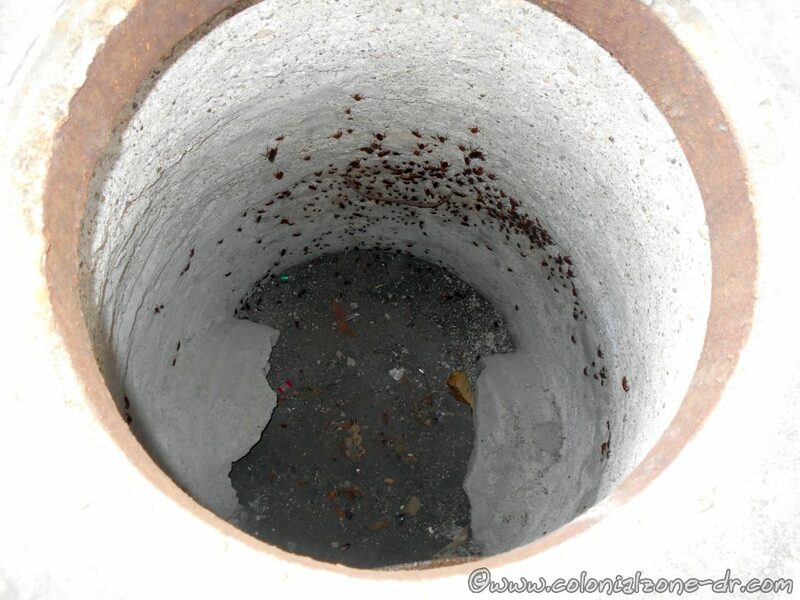 Missing Manhole cover and the hole is filled with black things. I had to go back, fighting with the dogs who wanted to keep going forward (they were going to the chicken store for some chicken heads to munch on), to see what it was inside that hole. This is the close up of the hole! Manhole filled with running, nasty cockroaches! There were hundreds! Enjoying their sanctuary. Walking around. Discussing the weather. Reproducing. Big ones and little ones. Mommies, daddies, juveniles and babies. 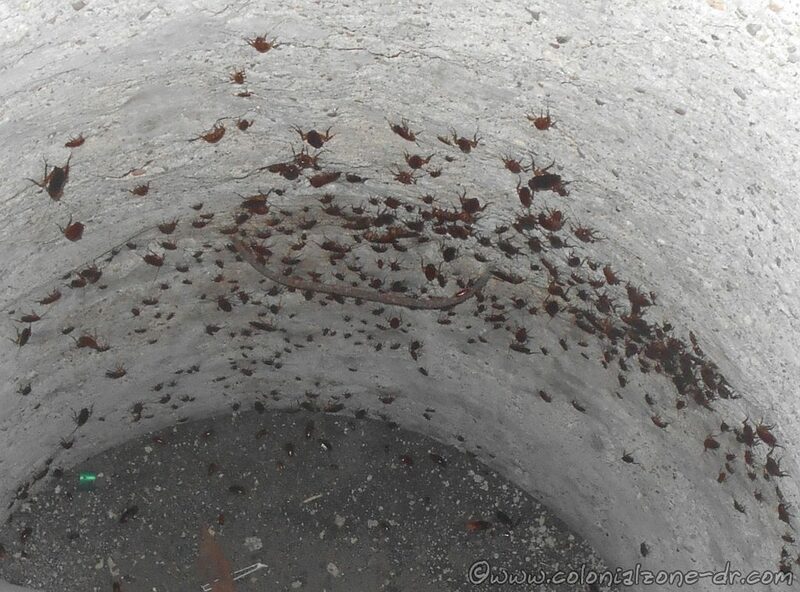 All ages, shapes and sizes together happily enjoying their Roach Motel Holiday. I christened the hotel to be named Heebie-Jeebie Hotel. Merriam-Webster definition of Heebie-Jeebies in case you wanted to know. Wowwee's cockroach, heebie-jeebie, manhole, nasty, roach hotel. permalink.